Sketch Saturday Challenge #423 – Choose your own sketch! It’s the 5th week of the month and at Sketch Saturday, that means, pick any sketch between 215 through 422! That’s a lot to choose from. Here is the link to get you started. I chose sketch #405 by Niki. Also this week we are being sponsored by StarStampz who is offering the random winner 3 images of their choice! The image I chose is “My Sweet Sunflower”, isn’t she beautiful? I colored her with Copic Markers and used Echo Park “So Happy Together” 6 x 6 paper pad. The dies are My Favorite Things and my sentiment is Wplus9 “That is all”. You have until Friday, August 5th to enter at Sketch Saturday choosing your own sketch. See you there! It’s the fourth Wednesday of the Month and time for The House That Stamps Built sketch challenge. You have until Tuesday, August 2nd to enter for a chance to win a $25.00 gift certificate at Repeat Impressions. This sketch is perfect for using the Repeat Impressions Vertical Party Negative 5910-M. I chose to keep it vertical instead of askew, but that’s okay as the sketch is inspiration and doesn’t have to be followed exactly. The sentiment is also from the vertical stamps called, Birthday Vertical 6104-J. The medium used is Twinkling H2o’s. I stamped with versamark, then white heat embossed the stamps, painting over with the twinkling paint. Hope you’ll join us at The House That Stamps Built, you may be our next winner! Oh and don’t forget to get your discount code from my blogs sidebar when you shop at Repeat Impressions Stamps. Hello Junkie Friends. 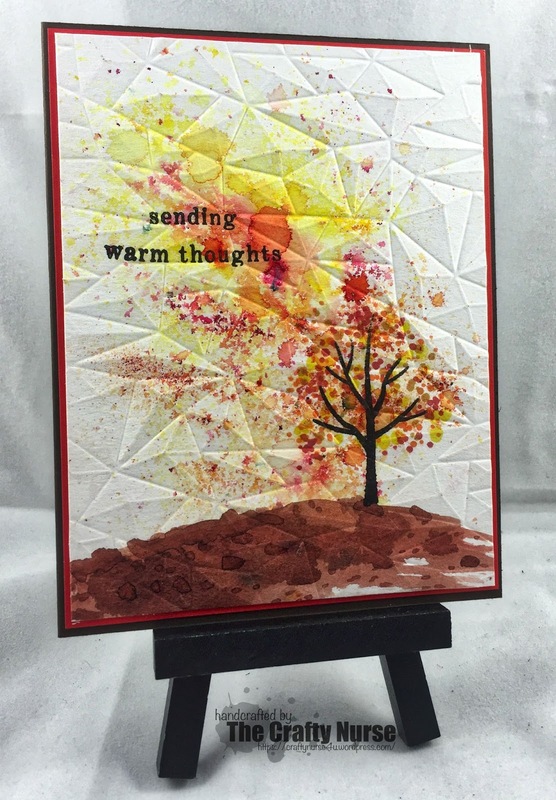 I’m here today with a quick card using one of the July Technique Junkie release stamps, “Shine Like Sunbeams #SD691. The technique is a simple one from the Sensational Stencils CD called Misted Stencil though I used a homemade stencil cut from sunburst die. For my spray, I used a sandcastle and timeless Art Anthology Colorations then cut out the card base from a My Favorite Things oval die, also making a frame. 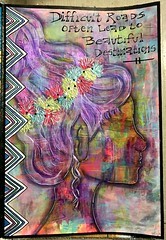 Thanks for stopping by and if you are looking for more inspiration, I’ve started a Technique Junkies Pinterest Page. 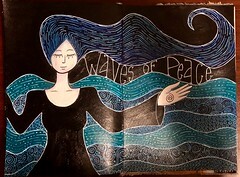 Also, stop on by to the Technique Junkies site for supplies to fill your warm summer days with creativity. It’s the third Wednesday of the Month and time for The House That Stamps Built photo inspiration challenge. For July we have some patriotic stars! As with all our challenges, let the photo be your guide and use your creativity to inspire you. You have until Tuesday, July26th to enter for a chance to win a $25.00 gift certificate at Repeat Impressions. If you use a Repeat Impressions stamp, you’ll get an extra entry! For my card, used a cut out some My Favorite Things Dies out of a red card stock panel, then stamped the Repeat Impressions “Small Silhouette Star 5140-C” with Hero Arts Navy ink, then fussy cut them out and centering in the star die negative space. The sentiment is “I Thank 2523-G” also stamped in Navy ink. Come join us at The House That Stamps Built, you may be our next winner! Oh, and don’t forget to get your discount code from my blogs sidebar when you shop at Repeat Impressions Stamps. 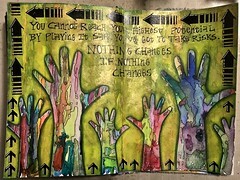 The Crafty Nurse back with some inky inspiration for this wonderful July summer day! Today, I made a card using a technique found on CD 10 from August/September 2012, called, Colorwash Alcohol Technique. I then stamped the stunning “Mermaid Love S698” using Versafine Black Onyx Ink, then clear heat embossed. The sentiment is also a July release called, “Better at the Lake – Set of 5 – SS059”. I’m really pleased with how Stream, Sailboat, and Wheatgrass inks look like water. Well, I’m off to go make some more cards. Hello friends! Happy Monday! My brain is still on vacation so I am late in posting my challenge! ACK!! I’m here with sketch #159 at From The Heart Stamps. These are great challenges because you can use just the sketch, or if you’d like, add the twist. 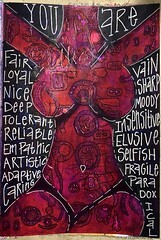 The only requirement is that you use a From The Heart image and the sketch. The rest is up to you. The twist for this challenge is to use a Gate Fold Technique. I used just the sketch this week. 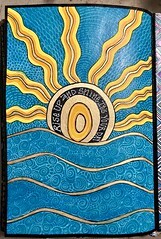 My image is one of the sweet Faithful Friends images called, “Hold Tight Hugs” which I colored with Copic Markers. My paper is Glitz Design called, “Felicity” and I used the MFT Flag dies as embellishments. 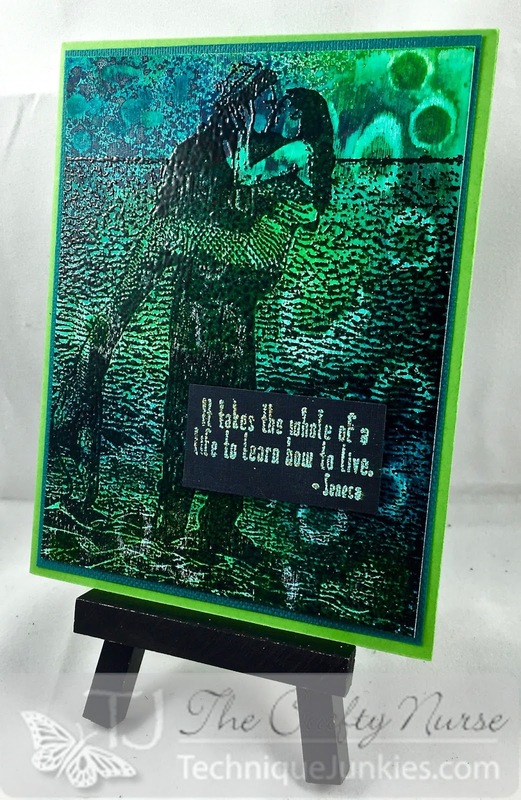 My sentiment is a Simon Says Stamp die which I layered and then coated with Pico Embellisher. Sure hope you’ll join us for Sketch #159 at From The Heart Stamps this week. Also, don’t forget to stop by and join the FTHS Facebook group. Happy Monday!! Happy Monday! Summer is in the air my friends and I don’t know about you, but it’s sure hot here in Virginia. In keeping with the theme, here at Cards in Envy we are having a “heat wave” challenge! As always, please make sure your card fits into a standard A2 card without any large lumps or bumps. The challenge will run through Sunday, July 31st. 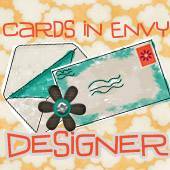 Our design team will also be choosing their favorite cards to feature on the The Cards in Envy blog. My card features a Nesto an adorable Mo Manning image. I colored him up with my copic markers E000, E00, E11, E21, E04, E15, Y19, Y15, Y11, BG49, BG13, and BG11. To give a little interest, I die cut the MFT Stitched cloud edges die and stamped the Simon Says Stamp “Skater” sentiment. Where ever you are this summer, I hope you are enjoying it and can take some time to enter our “Heat Wave” challenge at Cards in Envy. If you aren’t familiar with SAS4Kids, their commitment is to support hospitalized children by providing home-made cards that parents, staff, or even the kids themselves can give during this time of need. It’s not a sad cause, in fact, we don’t focus on Get Well cards at all, but make the cards happy and fun. I sure hope you will join both in our challenge and by sending in some cards for kids. To find out more about donation, look here. This challenge will run through Friday, August 5th and give you a great head start on some holiday card making. This challenge is sponsored by some very generous donors who are giving away some great gifts for the winning entry. The design team also chooses their favorite so there are lots of ways to win. 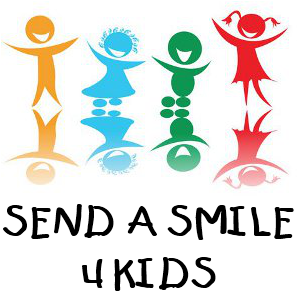 Wow – thank you sponsors, Send a Smile 4 Kids really appreciates your support. Now, let’s get to some inspiration! My card is made using a PDF file from The Cutting Cafe, called “Christmas Card Fun.” The cool thing about Cutting Cafe is their very affordable files come in both PDF and SVG files, which are used for electronic cutters. As I don’t have an electronic cutter, I printed off the PDF on design paper and embellished with gold Sakura pen. On the Cutting Cafe website, there are many great tutorials using this same file for both a shaker and treat cup project. My snowflakes are cut from glitter paper using a Lawn Fawn die and the sentiment is Paper Smooches. I hope you’ll join us for our Christmas in July Challenge and consider donating some cards to Send a Smile 4 Kids. Happy Saturday! Today’s new Sketch Saturday challenge is sponsored by Happy Print Club an all access membership site that houses digital images. Our winner this week is receiving membership as their prize! Wow, how generous is that! You have until Friday, July 22nd for a chance to win. For my card I took the Happy Print Club focal floral image and die cut with a My Favorite Things Stitched die. I stamped the Hero Arts sentiment and leaf and finished off with the flag dies and design paper, also from My Favorite Things. I can’t wait to see what you come up with using the new Sketch Saturday Sketch! Oh, and don’t forget to stop by the Sketch Saturday Facebook Page and give is a like!